The NFL Draft can make or break a teams future for many years to come. Teams have spent countless hours studying different prospects. 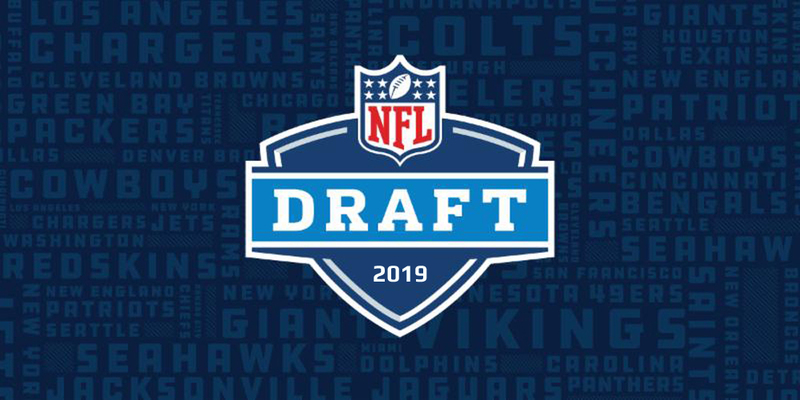 The NFL combine has come and gone, rookies have had their pro days, and teams have met with prospects of their liking. The draft is far from a sure thing. Just because a team has met with a prospect doesn’t mean he’s a lock to be drafted by that team, and if you were a star in college doesn’t mean that’ll translate to the NFL. The same goes for the opposite. Just because you weren’t the most productive in college doesn’t mean you won’t be in the NFL. This is why NFL GM’s and scouts get paid the big bucks. To find the top talent. Let’s take a look at what prospect your favorite team took. It may all be just smoke and mirrors, but the closer we get to the NFL Draft, the more believable this scenario is becoming. The Cardinals have many needs to address, such as offensive line, but Murray can make up for that shortcoming with his mobility and the way he can throw on the run. 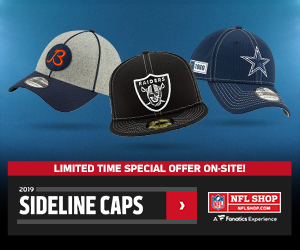 Assuming Rosen is dealt to a quarterback-needy team for some sort of draft capital, the Cardinals should be able to address other holes on their team after they get their franchise quarterback. The 49ers will be thanking the Cardinals if they let arguably the best prospect in the draft slip to the second pick. Some say passing on Bosa will be a huge mistake for the Cardinals. If he does get to number two, you can bet the Niners are going to be in a full sprint to the podium. The Niners struggled to get to the passer during the 2018 season as they tied for 22nd in the league in sacks. Pair him with DeForest Buckner, Solomon Thomas, and Arik Armstead and you have a pretty fierce defensive line. The Jets will be licking their chops if they get the chance to draft Quinnen Williams. There’s been quite a bit of speculation that the Jets will trade back from their third overall pick, but it’s hard to believe they would pass on the opportunity to draft such a talented player like Williams. The Jets allowed the seventh most rushing yards to opposing teams last year. They could stand to benefit from someone like Williams who can plug holes up the middle. 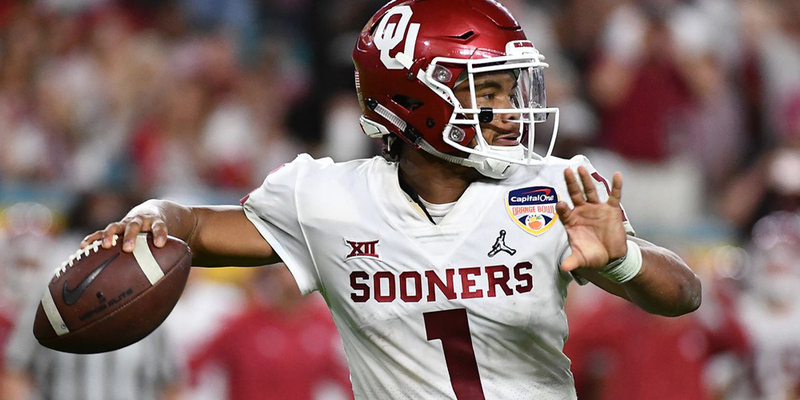 The Raiders have been linked to trading up to number one for Kyler Murray. If they end up doing so, Raiders fans should be happy they’re heading to Vegas. If they trade up, they need to trade up for a guy like Bosa, but no one’s talking about that happening. That’s why with Bosa gone at two, the Raiders draft Josh Allen at four. The Raiders sacked the quarterback all of 13 times last year. Let me say that again; just 13 times. This is an obvious need for them, and Allen’s pass rush ability gives them an instant upgrade from last year. With the departure of Kwon Alexander in free agency this offseason, the void at middle linebacker for the Buccaneers is evident. Devin White could fill that void immediately. He’s a tremendous sideline to sideline player and plays at a gear above everyone else. His 4.42 second 40 yard dash time at the combine speaks for that. His relentless pursuit to the ball is second to none in this class and something this defense lacked all season last year as they allowed the sixth most total yards last year. Let’s be honest, the Giants need a quarterback to be the successor to Eli Manning, but there are plenty of other needs to fill that will be beneficial to draft this year. One glaring need is their struggle to protect the passer. In steps Jawaan Taylor who will lock up the right side of the line. Taylor overall has tremendous pass sets and is extremely powerful. He’ll be a menace in both the run game and in pass protection, which is something the Giants are desperate for. With the signing of Nick Foles, the Jaguars can put their need for a franchise quarterback on hold and address other areas of concern on this team. With the departure of Dante Fowler at the trade deadline last season, outside of Yannick Ngakoue the Jaguars haven’t been able to generate much of a pass rush. Brian Burns may be the most lethal pass rusher in this class. His quick first step and his NFL ready technique, he could instantly provide that game-changing effect to this potent Jaguars defense. There are quite a few holes to fill on this Lions team and I think if you ask a lot of the Lions fans, the hope is that they take T.J. Hockenson if he’s available. We all know Matt Patricia is a defensive style coach and a hard-nosed one at that. Outside of Darius Slay, who allowed just 573 receiving yards to opposing receivers last year, the Lions don’t have anyone that has the ability to match up one on one with receivers. This is where Murphy excels. He can step in right away and stick to his receiver. When you play receivers like Adam Thielen, Stefon Diggs, and Davante Adams twice a year, you need guys with strong man-to-man skills. Ed Oliver is one of those players that is an exception to the rule when it comes to playing in the interior of the defensive line. He weighs just 287 pounds, where the average playing weight for an interior defensive lineman is right around 300 pounds. He also measured in at the combine with just 31 3/4 inch arms which lands him in just the sixth percentile. None of these truly matter when you look at Oliver’s skill set. His gap penetration and speed he plays at is unlike any other in this draft. He makes up for the average interior line the Bills have currently on the defensive side. 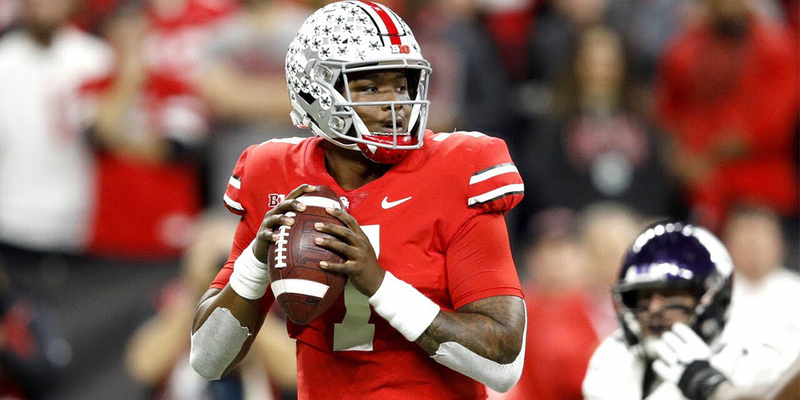 Yes, Dwayne Haskins is still on the board. 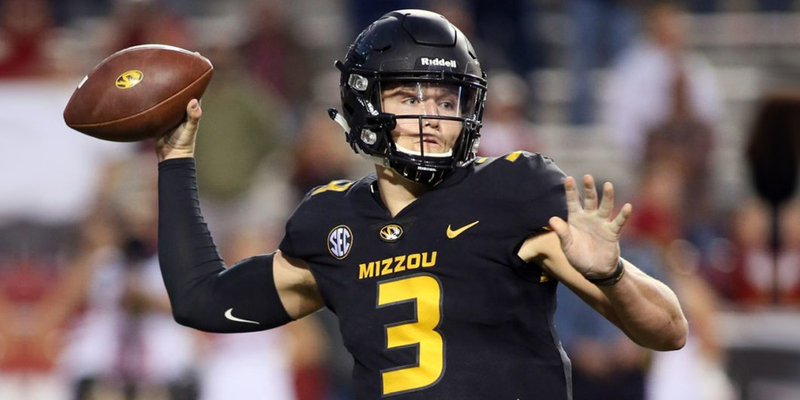 But let’s face it, Haskins doesn’t fit the quarterback mold that John Elway is looking for like Drew Lock does. Lock has tremendous arm strength and has the ability to push and drive the ball down the field. The issue is, he sacrifices his accuracy in the processes. Lock is going to be a work in progress; one that will benefit from being behind a guy like Joe Flacco to start the year. In terms of the Broncos current roster construction, is this the most sensible pick by the team? No. But Lock has the potential of being the team’s long-term quarterback for the future. Dwayne Haskins didn’t remain on the board too much longer. We all know what we’re going to get from Andy Dalton. A guy that’s going to throw for around 3000 yards, 20 touchdowns, and double-digit interceptions. What better time to change the culture of that team and bring in a guy who threw for nearly 5000 yards and 50 touchdowns in his first year as a starter at Ohio State. Haskins would benefit from throwing to a veteran like A.J. Green and Tyler Boyd who had a breakout year last year. The Bengals offensive line ranked 27th overall last year according to Pro Football Focus. One thing Haskins would help this team with is his ability to read defenses at the line of scrimmage and find his hot route quickly. His short to intermediate game is where he succeeds the most. The Packers haven’t had a viable tight end since Jermichael Finley back in 2011. This is the perfect class to turn that around with how strong this tight end class is this year. 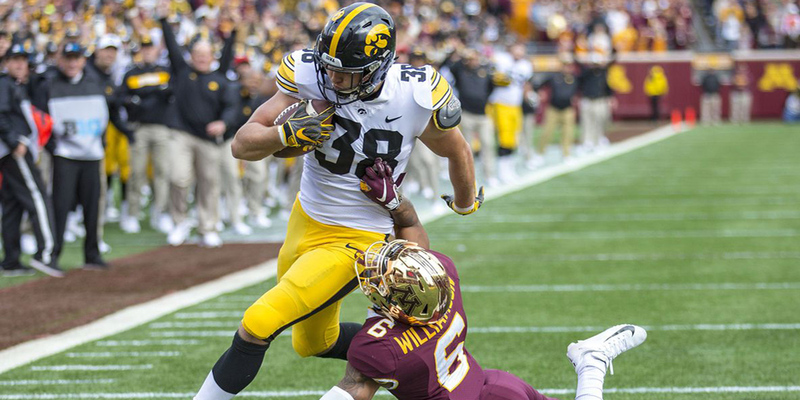 T.J. Hockenson is everything the Packers need in a tight end. He can block with a fierce tenacity. He catches the ball with soft hands, almost like a wide receiver catches the ball. Jimmy Graham still poses a threat in the passing game, but his blocking hasn’t been his strong suit since he came into the league. Hockenson can step in immediately and have an impact on this offense that has been in a bit of a lull the past couple years compared to the high powered offense they’re used to in Green Bay. There are two glaring needs on this Dolphins team, and it’s on both sides of the line of scrimmage. Might as well lock up one of them and draft one of the more intriguing offensive linemen in this draft. Andre Dillard’s draft stock was on the rise coming into the combine, but with his strong performance, his draft stock shot up exponentially. He tested inside the 90th percentile in both his speed and agility scores and looked very good in the on-field drills. Dillard is arguably the best pass protector in this draft. Laremy Tunsil currently protects the left side of the offensive line in Miami, which is where Dillard started 39 games at in Washington State, but the Dolphins can’t pass up on a prospect like him. This may wind up to be the steal of the first round and a match made in heaven. The Falcons struggled to plug up holes in the run game, as they allowed the eighth most rushing yards in the league last year. Christian Wilkins provides immediate relief in that area of the game. The three-time All-American had 250 tackles during his career at Clemson, 41 of those went for a loss. He also showed his ability to get to the passer as he pressured the quarterback 56 times and sacked him 16 times. His versatility to play in any gap and be successful is phenomenal. He gets great leverage and can slip through holes and get to the ball carrier with ease. The Falcons will love their upgrade on the interior of their defensive line. 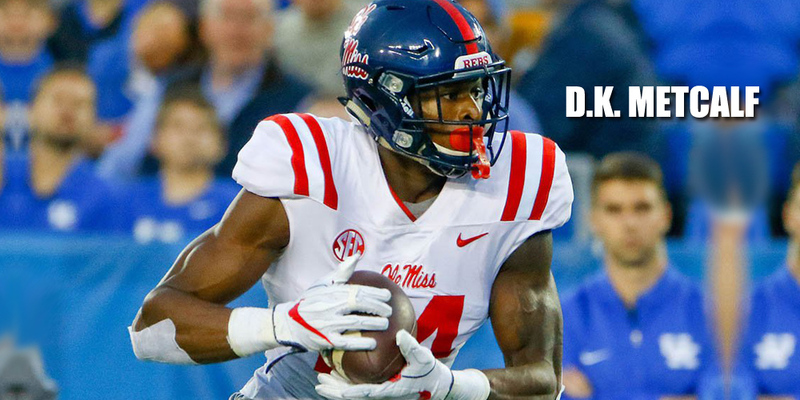 DeKaylin Zecharius Metcalf has been the most talked about, debated, and scouted player this offseason. You either love his game, or you hate it. There’s a lot to get on board with the Redskins 15th overall selection. When you look at their roster, you see the likes of Josh Doctson, Paul Richardson, Trey Quinn, and a bunch of other guys that haven’t produced yet in the NFL. 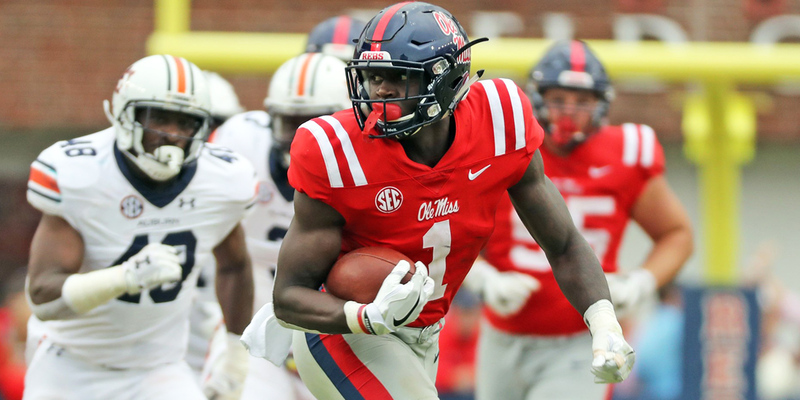 The Redskins could use a guy like Metcalf that can do just about anything he’s asked to do. Newly acquired Case Keenum throws a fairly good deep ball but lacks arm strength. Metcalf can go get those deep balls and make the contested catch which is something they don’t have on their roster yet. Pair Metcalf with what’s a good offensive line and a fairly strong running game and you’re looking at a whole new offense. This pick would electrify this Carolina Panthers defense that was brutal at getting to the quarterback last year as they were the sixth worst in the league. Montez Sweat instantly brings that dynamic pass-rushing force to Carolina. Sweat did sit down with the Panthers at the combine and oddly enough people are comparing him to the longtime great Panther Julius Peppers. If Sweat ends up to be anything like Peppers, the Panthers are going to be thrilled. With the pick they received from the Cleveland Browns in the Odell Beckham Jr trade, the Giants land what they hope will be their quarterback of the future in Daniel Jones. He’s a project that Gettleman hopes to groom into a quality NFL starting quarterback. He has the size of prototypical quarterback and has solid accuracy in the short areas of the field which is a lot of what Pat Shurmur’s offense likes to do. There is the Manning connection with Jones that makes it apparent that they land him with their offseason accusation from the Browns. Jonah Williams landing with the Minnesota Vikings would be a dream scenario for the team. The offensive line there was as bad as it comes all around from left tackle to right guard. (Right Tackle Brian O’Neill played fairly solid in his rookie year). According to Football Outsiders, the Vikings ranked 30th in run blocking and 23rd overall. They also allowed their quarterback to be sacked 40 times in 2018. Williams immediately provides the versatility they need. He can play any of the five positions on the offensive line. Though, with murmurs of Riley Reiff moving to guard, they may look to start Williams at left tackle. Kirk Cousins can finally sleep peacefully at night. The Titans fill a major void with the 19th overall pick in the NFL Draft. They land Cody Ford who is a very solid, versatile player that will lock down any position the Titans ask him to play on the offensive line. He started 14 games at right tackle and seven games at left guard. His quickness in and out of his stance suggests he would excel at tackle, but the way he blocks on the move suggests he could play on the interior. Either position he’s going to do well blocking for Marcus Mariota and his running backs. The Steelers land a gift with their 20th overall. Typically, their profile of a corner is the tall, lengthy guys that punish receivers man-to-man, which ironically they haven’t had since Ike Taylor. Greedy Williams is a guy that can stick to his man and be a menace against those quick, shifty types of receivers. 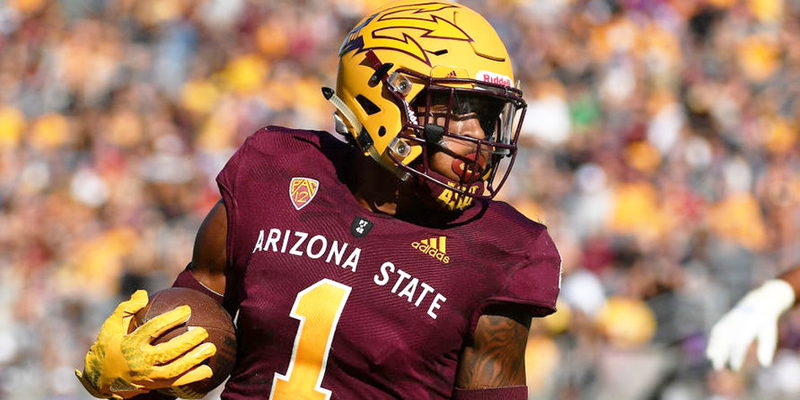 He’s a ball-hawking type of corner that will be a nightmare for young quarterbacks like Lamar Jackson and Baker Mayfield who will have to face him twice a year. There are some concerns about his effort and how willing he is to get dirty, but if he’s shutting down receivers, that may not be as big of a concern as some may like to think. One of the better games Chauncy Gardner-Johnson had last season was in the Peach Bowl against Michigan. He showed his true ability to roam the field and play the ball. He plays with such a high motor which at times jeopardized his angles when he went to make a tackle, though he made a significant improvement over last year. The Seahawks have struggled in the secondary since the Legion of Boom has dispersed from the team. Here is the next step to becoming a shut down secondary again. Dynasty fantasy football owners may scoff at this pick, mainly because they see Harry as a sure-fire first overall pick in rookie drafts and landing with the Ravens has received some poor reviews. If you look at it a little closer, this could be a perfect fit for both Harry and the Ravens. We all know Jackson struggles with accuracy, especially when throwing the deep ball. One thing Harry will be able to mask is accuracy struggles with his tremendous catch radius. The Ravens currently don’t have a receiver on the roster that can work the short to intermediate areas of the field from the outside or the slot, and Harry can fill that void immediately. The Texans are possibly the most desperate team for an offensive lineman both on the interior and at the tackle position. So why not reach for a guy that has played all over the offensive line. Dalton Risner started out his college career playing on the interior of the line then moved to right tackle where he flourished. Deshaun Watson, who was running for his life the majority of the season, was sacked a league-high 62 times and was hit 126 times during the regular season. The Texans still ending up winning the division, but imagine what their young quarterback could accomplish with even just an above average offensive line. With pick two of three for the Raiders, they continue to build up that defensive line that was as bad as they could’ve been. They drafted defensive tackle Maurice Hurst in last years draft and he ended up leading the team with just four sacks. This line clearly needs an overhaul, and drafting Ferrell here is the next step in the right direction for the Raiders. Ferrell brings extreme quickness to shoot the gaps and plug up holes in the running game as well as a variety of pass rush counters that make him a menace against offensive linemen. You are now looking at a Raiders defensive line that contains Josh Allen, Maurice Hurst, Clelin Ferrell. Lots of improvement already. The Eagles are an odd team in terms of trying to find a good fit and to fill a need. They don’t have any glaring voids in their roster, but one area they could stand to gain some more depth is at defensive back. Philly’s secondary struggled to stay healthy last season and their lack of depth showed as they allowed the third most passing yards to teams last year. Nasir Adderley would undoubtedly sure up those issues with his great coverage skills and his ability to cover the entire field. A lot of fans would like to see the Colts take a wide receiver here, but defensive tackle is another big area of need for this team. The defense in Indy is very young and has shown how strong it can be against very good teams. With a deep receiving class, it makes sense for them to keep building up the defense. Margus Hunt, who is Indy’s current nose tackle, played well throughout stretches of last season but is also 31 years old. Lawrence brings youth and strength to that position and is a true game changer up the middle. His technique and strength to plug up holes and fight through gaps are what’s going to bring this defense to new heights. With the Raiders third and final pick of the first round, they land Devin Bush, who was a key piece in Michigan’s defense last year. His knowledge to play the quarterback on this defense is going to be key, considering how porous it was last year. Bush isn’t the longest or the biggest guy out there, but he brings a tenacious attitude and the tremendous ability to get sideline to sideline that this defense has lacked. The Raiders look like a whole new team with these first three picks. The story all offseason has been how bad the Chiefs defense was last year and how badly they need to improve it. And that would be correct. The Chiefs allowed a whopping 6488 total yards of offense last year which ranks as the second worst in the NFL last year. They lost Dee Ford this offseason who was a solid edge rusher for them last year and they need to find a replacement for him. Rashaan Gary was largely talked about as a top ten pick in this year’s draft but after the emergence of other top prospects and some legitimate concerns about his ability to process and read blocks, Gary is falling on draft boards. He’s a good prospect that will need some work, but one the Chiefs should be willing to take a chance on. The Packers locked down an offensive weapon earlier in the draft, and they do so again with their second pick in the first round. Outside of DaVante Adams, there wasn’t much of a receiving threat for defenses to worry about. With the departure of Randall Cobb, the Packers need to find that guy that can play the slot and be a versatile route runner. Brown can do that and more. He is tremendous off the line and has very strong hands to hold onto those contested catches. The Packers need to get more weapons to surround Aaron Rodgers if they want to keep that Super Bowl window open while Rodgers is still slinging the ball at a high level. The Rams are a very solid team all around. They went out and spent a lot in free agency last offseason and made some moves to improve their team before the trade deadline. Unfortunately, they fell one win short of being Super Bowl champs. They don’t have a lot of glaring voids that need to be filled, but with guys like Marcus Peters who don’t excel in man-to-man coverage like the Rams defense likes to play and Aqib Talib who is getting up there in age, it may be in their best interest to start looking at a future shut down corner in DeAndre Baker. Baker has the innate ability to really stick to his man and plays the ball well. Something the Rams lacked in their Super Bowl loss to the Patriots. With the offseason news of Rob Gronkowski hanging up the cleats, it’s time to look for his replacement. 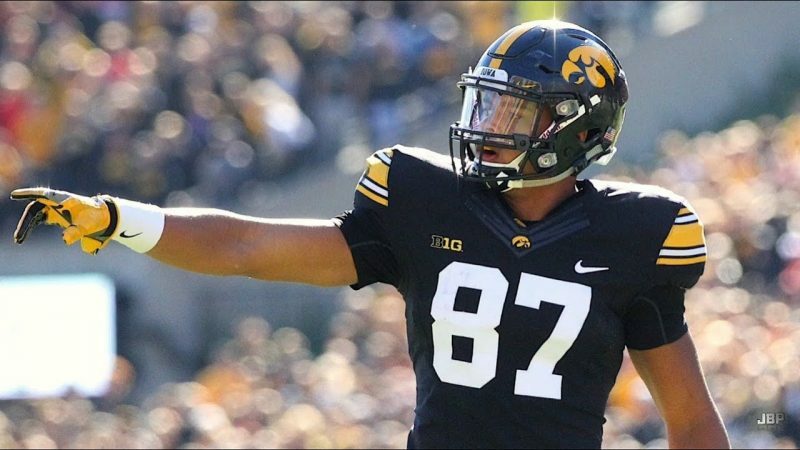 Is Noah Fant exactly like Gronk? No. But he can be that move type of tight end that Tom Brady loves to throw to. Fant is arguably the most athletic tight end in this class. He runs very solid routes and has hands like a wide receiver. The difference between him and Gronk is that Fant can’t block as Gronk could. He’s not as strong and doesn’t get enough push to open up running lanes. However, his ability as a pass catcher will mesh well with whatever time he has left with Brady.